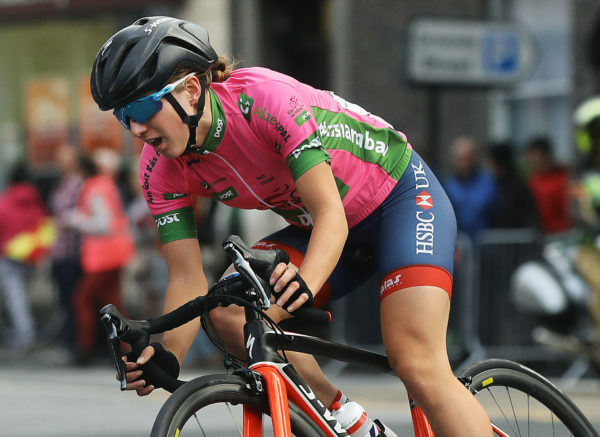 Rás na mBan 2018: The women’s stage race has become a huge fixture on the Irish scene. It also involves top international riders. It’s future is solid despite the ongoing search for a sponsor, the organisers have now said. An Post may have stepped back from sponsoring Rás na mBan but the race is definitely going ahead this year. The dates have now been announced for the event. And it has also been confirmed Kilkenny City will host the race once again; from September 5th to 9th. News that firm plans are in place comes as a relief to the Irish cycling community. Both the Rás and Rás na mBan have lost An Post as a sponsor. The Rás is going ahead without a title sponsor this year. And while Rás na mBan still has time to attract a main backer, it is now confirmed it will definitely go ahead. Any absence of either event from the calendar this year, even if intended as a one-year absence while sponsors were searched for, would have been a cause for deep concern. There are six stages to be fought out at Rás na mBan 2018. Kilkenny County Council is backing the best Irish rider classification. The National Dairy Council will sponsor the points classification. The IVCA and Wicklow 200 are backing the queen of the mountains classification. Cycling Ireland will also be on board as a sponsor this year. Tim Butler, director of services at Kilkenny County Council, said the city was delighted to host the race once more in 2018. “It’s been a wonderful addition to the programme of events that we host during the past three years,” he said. Race director Valerie Considine said the race was on a firm financial footing. That is despite the fact the organisation was not in a position to confirm at title sponsor at this time. “It’s certainly been an interesting six months since last year’s race. And it’s a great relief that we have confirmed the necessary income to run the event at its customary high level,” she said. “We have been delighted in the way that so many of our partners and supporters have rowed in. (They have) made sure that Irish women have a proper international racing outlet at home. “Rás na mBan is interwoven with the fabric of Irish women’s cycle racing. And it’s been heartwarming that our commercial partners and some very welcome patronage have combined to extend the heritage of this important event. Already queries have been received from international teams who will be coming again this year, meaning its full steam ahead in every sense for the race.